Fiber's the key to feeling full. Satiate your stomach and satisfy your palate with these delicious recipes. Trivia time! How much fiber should the average person between 18 and 50 years old consume daily? The answer: 25 grams of fiber if you're a woman, and 30-38 if you're a man. Yep, you read that right. If you suddenly find yourself sweating in your seat and worrying about how little fiber you've been eating, don't fear—Skinny Mom is here. Because fiber is so important for digestive health, weight loss, and even managing your cholesterol, we've compiled five delicious high-fiber recipes to help meet your daily goal and keep your pipes working regularly. Great ready to whip these up and dig in! Breakfast casseroles aren't just for church potlucks. 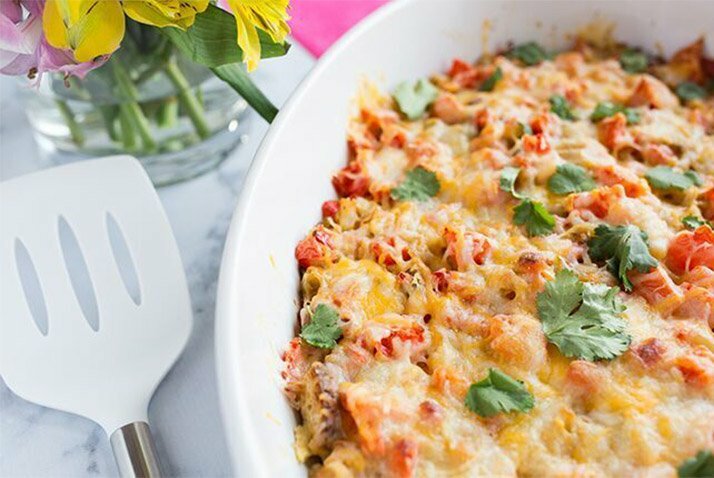 This delicious casserole can be easily prepped the night before so that the stress is taken out of your morning meals. With 5 grams of fiber and only 168 calories per serving, this breakfast dish will keep you full and deliver a bevy of beneficial nutrients. This yummy dish clocks in at 8 grams of fiber per serving. The balsamic marinade is what makes this meal especially special. With its soothing, earthy flavor, your whole family will scarf it down without any complaints. It heats up great for lunch, too! Do you ever have cravings for a really, really good salad? We do too! Too often, salads let us down with bland flavors, but not this one. This recipe is jam-packed with delicious flavors and rich tang. 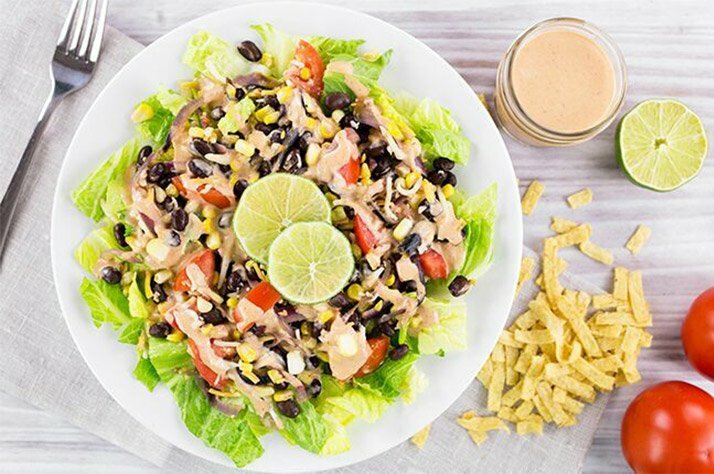 With 7 grams of fiber and only 219 calories per serving, it's a satisfaction-guaranteed meal. This burrito is as delicious as it is easy to make. 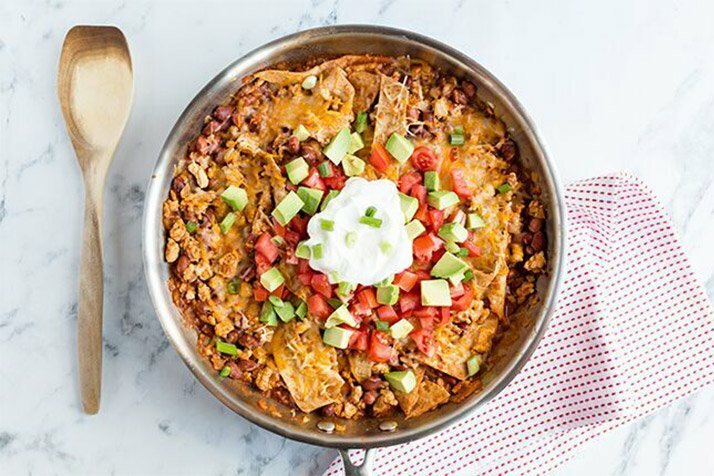 Skip the fast-food drive-thru and instead make this delicious one-pan meal that's packed with melted cheese, avocado, and ground turkey. Did I mention it has 9 grams of fiber and 25 grams of protein per serving? It's a nutritional and taste win-win! Feel free to substitute ground turkey with chicken, beef, or pork, and season it to meet your favorite flavor profile. 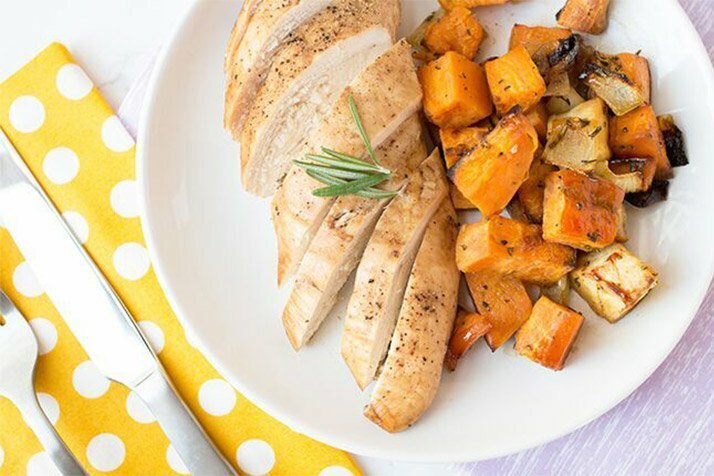 This meal might already be one of your favorites, but you're likely chowing down on the unhealthy version that's loaded with fat and calories. 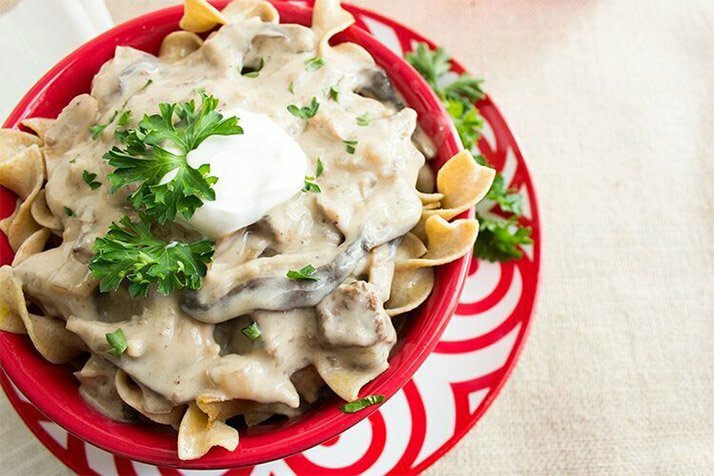 Next time you get a craving for creamy stroganoff, reach for the skinny version instead! This stroganoff tastes amazing, has 6 grams of fiber, and packs a whopping 29 grams of protein per serving.